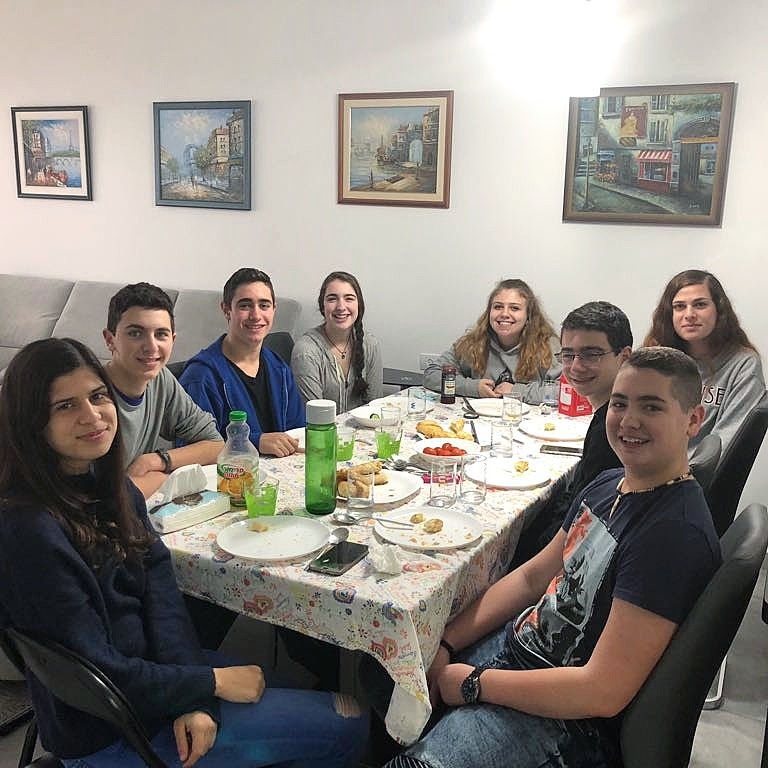 Day 2 – Shabbat morning came and the HiBuR group spent the entire day with their Haifa partners. Though the day was extremely rainy it didn’t stop the group from out and about! Many went exploring the city’s fine dining and decided on sight seeing! Some caught up on their homework (so we were told! ), others felt a little more inclined to go bowling and even go-carting, and a few who felt the mall was a perfectly well way to spend the stormy day! By evening, here in Haifa, many groups of partners organically came together to spend time with one another before preparing for a very eventful Sunday! Day 3 – Rise and shine! With a beautiful early morning golden sunrise the day clearly had a touch of magic to it already. We boarded the bus and by 7am our little troopers were in full swing heading to Tsefat to meet with our incredibly knowledgeable tour guide, Adam! With both excited to see one another we went straight into soldiering through a bit of rain as we toured the mystical city of Tsefat. It was an amazing exchange of culture weaving through the streets and Adam was not short of creative stories about this old city. Strongly engaging with the group, he inspired so many thought provoking questions which sparked the minds of all who were in attendance, making for substantial conversation and wonderment. A very special event took place which I can confidently say bonded the group to its highest form. 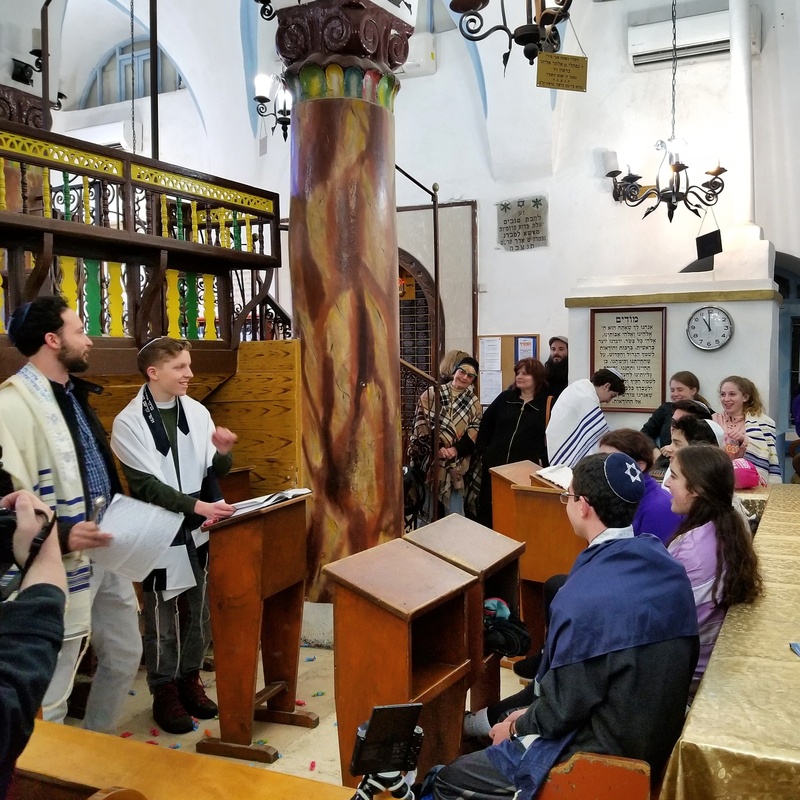 Jacob Lord from Beth El had the honor to celebrate his Bar Mitzvah in the oldest active synagogue in Israel, the Ari Ashkenazi Synagogue dated back to the 16th century! It was filled with so much love and will be a great memory for years to come for all who attended. 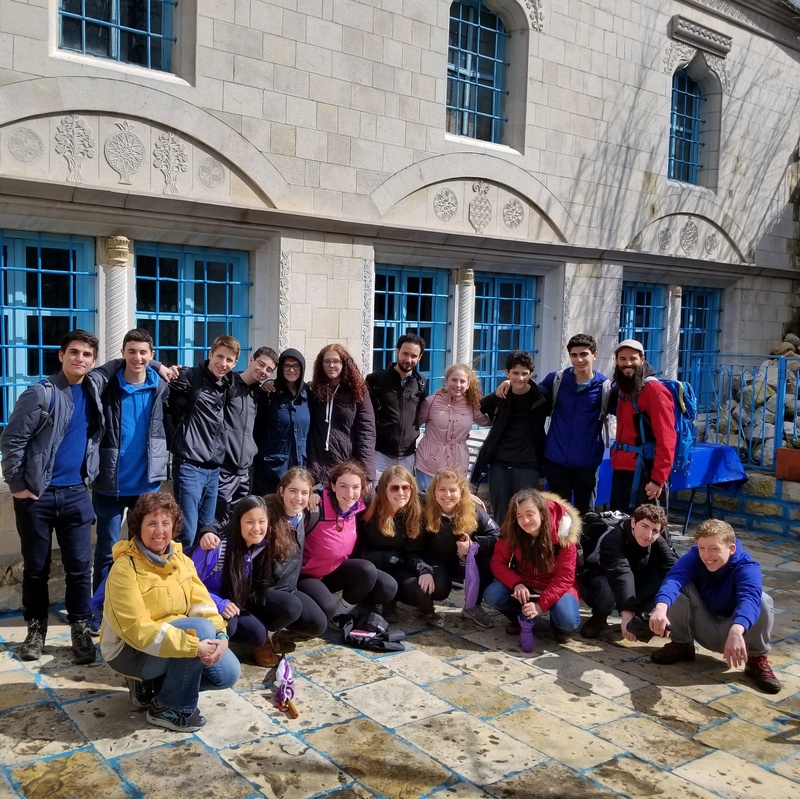 From exploring a current archeological dig site to seeing the world’s largest Havdallah candles we learned so much during our walks through the quaint streets. Too end our day in Tsefat we visited the Abuhav Synagogue that withholds in it the oldest kosher Torah scroll in the world at the ripe age of 600 years old! Onward to Golan Heights after a perfect lunch in Gadot. This extremely beautiful land is so green and majestic in the winter that it looked as if we were teleported to Ireland! Yet this land was riddled with ruins and military bases which revealed to us he war torn history of this region which lies beyond it’s magical views. We then trekked to the top of Mount Bental, one of the highest points in the Golan. 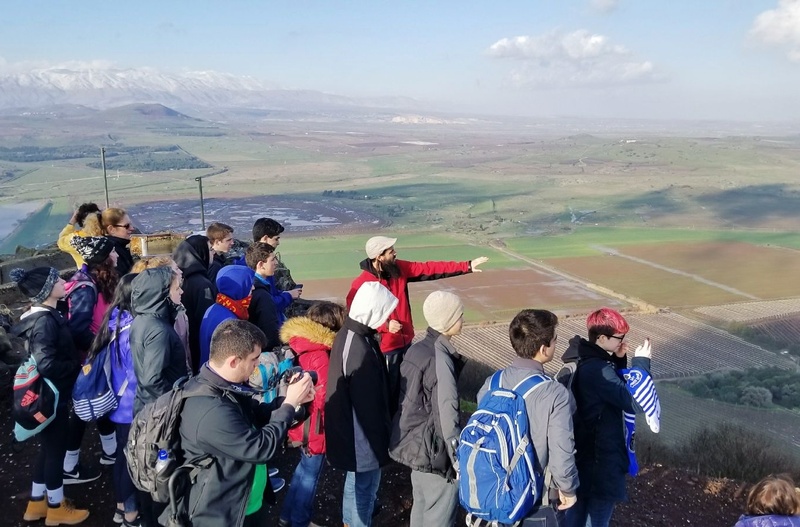 Here, we learned much about the history and current humanitarian crisis of one of Israel’s neighboring countries as we stood listening and overlooking into Syria.